Sorry for the last months of absence, we were all busy with personal issues, but now we’re back! 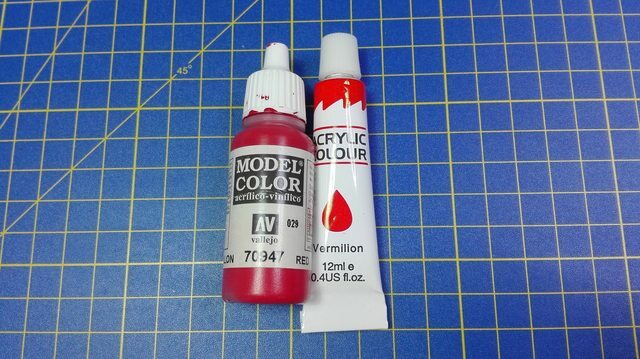 Today I’m gonna talk to you about some very cheap acrylics from Flying Tiger store. Flying Tiger is one of those shops where you enter just for curiosity and you end up buying a bunch of mostly useless stuff at a very low price. If you know those shops, you know what I mean! 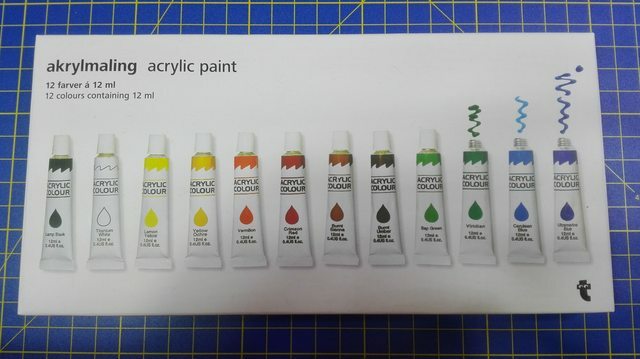 As you can see there are 12 tubes containing 12 ml of product each and the colour range covers all the basic needs for the painter, with the 3 primaries, 2 earths, white and black and a few more shades. 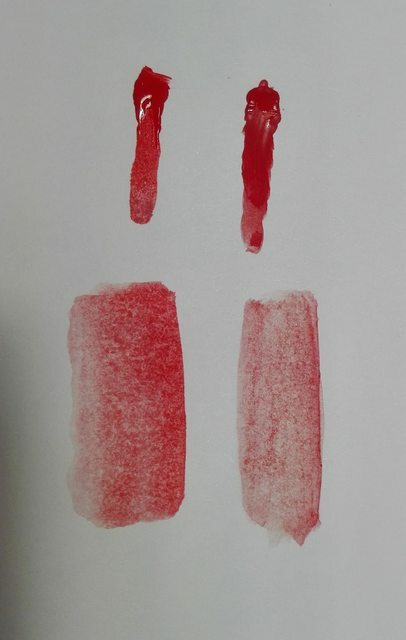 The colours pigmentation varies from one shade to another. The white is quite transparent, so is the black. In general the coverage is lower than the specific modelling paint we’re used to. The texture is good and creamy, with no chunks of pigments and no need to shake them. They thin well and eavenly. The finish is very similar to the classical artistic acrylics (e.g. Winsor&Newton acrylics), quite shiny and glossy, so they can be interesting if you want to achieve this kind of effect, otherwise you’ll have to use a matt medium. My favourite shades, for the kind of colour and use, are the 2 reds, the earths and the Lemon Yellow. This last one doesn’t have a very high coverage but is very very bright, almost a fluo, so I find it useful to pump the highlights in the mix. In conclusion, I would not recommend these colours as your main ones, but they are worth a try for the cheap price if you need some more shiny finish colours! 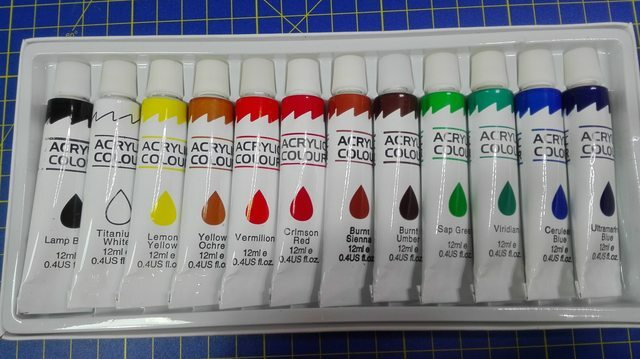 Did you ever try this brand or other cheap brands of colours? What are your thoughts about them? Leave a comment and let us know! Enter your email address to be noticed about articles update!